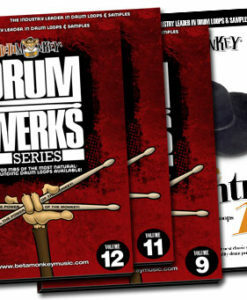 Drum Werks IV | Studio Grooves for Rock, Bluesy-Rock, and Pop Rock. Back in the New York Groove! With straight and shuffled feels, Drum Werks IV has a warm and gritty drum mix and enough rock drum loops and fills to keep any songwriter busy for months. 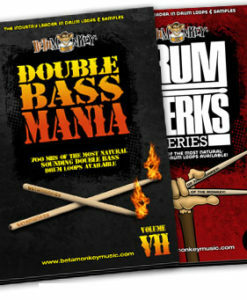 Need the right grooves for ballads and slower rock tunes? 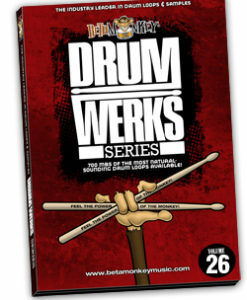 Drum Werks XXVI Rock Ballads will inspire your songwriting with a versatile collection of live ballad drum tracks covering tempos from 40 bpm to 100 bpm. All acoustic, live drums for any ballad or slow rock songwriting project. 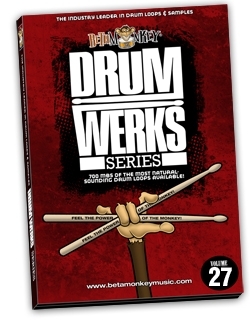 Versatile vintage sound with all the staple grooves of the 50s and 60s, Beta Monkey Music's Classic Backbeats™ II is an all-new drum loop and sample library for writers looking to expand the depth of their groove collections. Get the grooves you want for an authentic 50s and 60s rock and roll vibe that will inspire your songs as well as film and TV soundtracks and commercials. Like vintage rock n roll, surf rock and a bit of Motown? 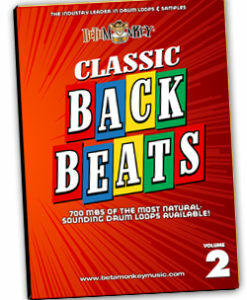 Classic Backbeats II is the collection you need. Retro Rock n Roll, Surf, 50's, 60's - recorded the way it used to be done!